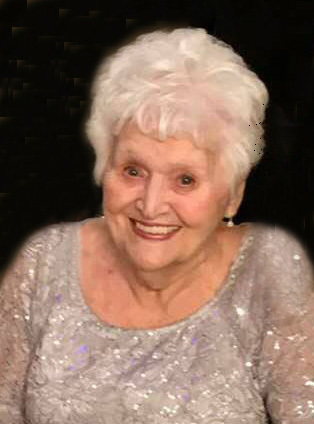 CLOQUET, Minn. — Mary Jane (O’Connor) Shields, 84, of Cloquet, joined her heavenly family, Friday, Aug. 17, 2018. Mary was a former resident of Nashwauk, Minn., and was surrounded by her family at her passing at the Solvay Hospice House in Duluth, Minn.
She was born on Nov. 10, 1933, in Norway, the daughter of James and Bernice O’Connor. Mary graduated from Florence High School in 1951. She graduated from University of Wisconsin-Oshkosh in 1955 with a teaching degree. She taught elementary school for many years before taking a break from her career to take on her most important role: that of a loving, devoted mother and homemaker. Mary enjoyed cooking, baking, gardening and quilting. Mary was a member of St. Cecelia Catholic Church in Nashwauk, where she volunteered as a catechism teacher. She enjoyed her travels to Arizona during the winter, until health challenges made this not possible. Most of all, she enjoyed her family and was very proud of her children and grandchildren. She was an avid Green Bay Packer fan and enjoyed watching the games and cheering on her beloved team. Mary also enjoyed the companionship of her many pets and animals. She had a beautiful smile, and her quick wit and sense of humor kept us laughing right until the end. Mary was preceded in death by her parents; sister, Patricia Roosen; and brother, Michael O’Connor. She is survived and will be sadly missed by her sons, Jim (Stephanie) Shields of Pengilly, Minn., Tom (Jodi) Shields of Racine, Wis.; daughters, Cindy (Mark) Gorski of Chisago City, Minn., and Jenny (Byron) Goranson of Carlton, Minn.; 11 grandchildren, Angela (Matias) Valero, Rachel (Andrew) Lam, Aaron, Renee, Nicole and Michael Shields; Brandon, Vinnie and Savannah Gorski; and Mike and Mackenzie Goranson. The family wishes to thank Plainview Estates, Community Memorial Hospital and Solvay Hospice House for their compassionate care during the last years and at the time of Mary’s passing. Services will be 10 to 11 a.m. Wednesday, Aug. 22 at St. Cecilia Catholic Church in Nashwauk, with a visitation from 10 a.m. until the Mass of Christian Burial at 11 a.m., celebrated by Rev. Father Joe Sobolik. A time of fellowship and lunch will follow in the church social hall. Burial will be 2 p.m. Thursday, Aug. 23 at Immaculate Conception Cemetery in Florence, Wis.
To leave an online condolence, visit the guest book at www.nelsonfuneralcare.net.